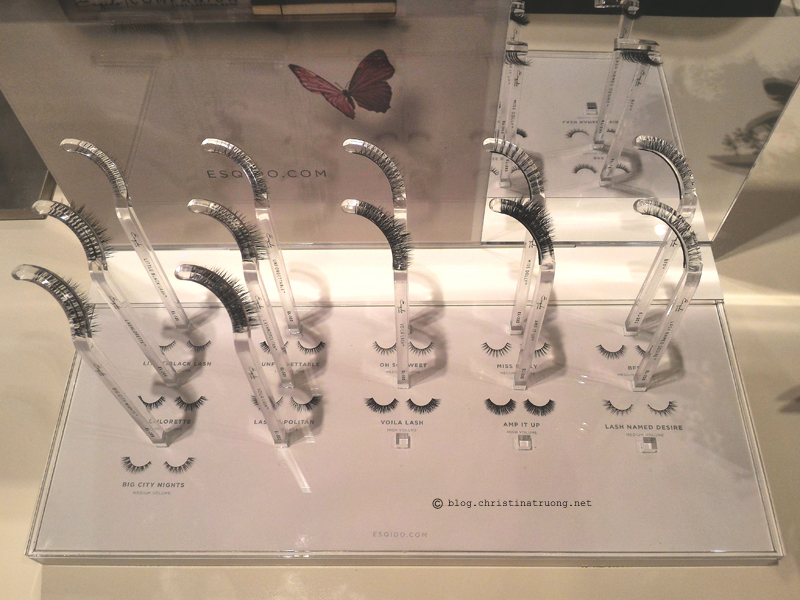 ESQIDO lashes were crafted to be reusable and lasts much longer than traditional synthetic lashes. To achieve the most natural looking lashes, ESQIDO custom designed a range of styles suited for different eye types. The results - lashes that complement your eyes so well, you'll never want to take them off. Last weekend, I was invited to celebrate the launch of ESQIDO now available in select Holt Renfrew stores and holtrenfrew.com. I was welcomed with a gift of a delicious cake pop, refreshments, the Companion Eyelash Glue and a pair of lashes of my choice. 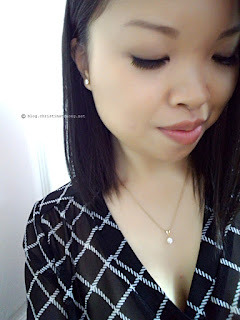 Between meeting and mingling with fellow bloggers, I had trouble deciding which lashes I wanted to go for, at the same time wondering if it's suitable for my eye shape. Luckily ESQIDO's innovative Lash Monocles saved me half the trouble. 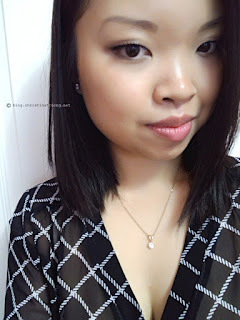 The Lash Monocles allowed me to try out the lashes and see exactly how it looks; it's as easy as placing the rod where you would normally sit your false lashes. The lashes on display were all so beautiful and it was a hard choice. 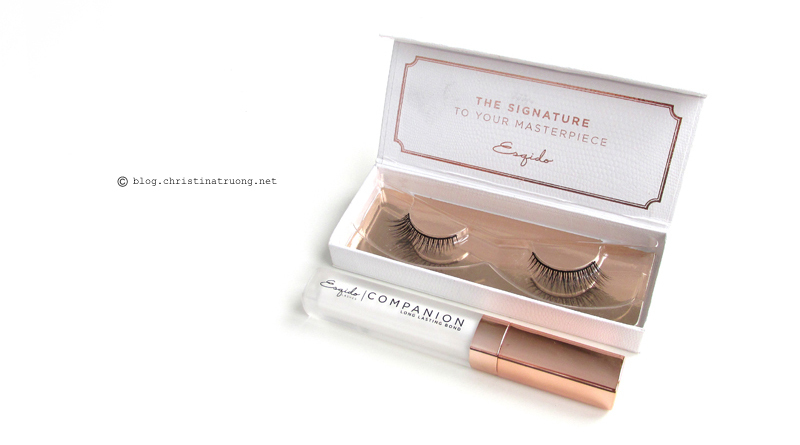 In the end, I picked up Unforgettable: a natural and elegant lash. This pair of mink lashes features a gradient of increasing length and thickness across the lash band, resulting in a subtle yet beautiful winged out effect. I think every other person around me also went for Unforgettable. It's not too simple yet not overly dramatic - I would say it's the perfect lash that can be worn during the day but also to a night out. The Companion Eyelash Glue: Suitable for any type of false eyelashes, the eyelash glue is an invisible eyelash glue with strong all day hold. Specially formulated for mink lashes and latex-free, it's a gentle mixture that extends the life of the lashes. With a fine tip wand, applying the right amount of glue to false lashes won't be any trouble. I love how the lashes not only look natural on the eyes but feel natural and lightweight as well. The eyelash glue was also amazing; my lashes stayed on all day and no irritation. I'm not going to lie, I really love these lashes, so much so I didn't want to remove my makeup that night (don't worry, I did). Moving onwards, can we just talk about the packaging? Seriously! White and rose gold!!! Not only that but the actual case that come with the lashes? A heavy duty case with a magnetic closure = definitely a safe place to keep these luxurious lashes in between uses. With such amazing quality, I'll sure be wearing these Unforgettable lashes to every event until the end of the year and possibly stocking up a lifetime supply. Have you tried ESQIDO before? What are your thoughts on these false lashes? What's your favourite style of false lashes - subtle or dramatic? Disclaimer: Products received under this post were complimentary during ESQIDO VIP Launch Event. Views expressed are of my own.